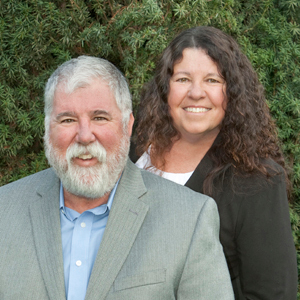 Jane & Ron Pavelka have been Top Producing Realtors in Sonoma County for over 10 years. Their experience has made a difference for their clients in one of the biggest decisions they will make in their lifetime. With in-depth knowledge of Sonoma County, as well as the surrounding areas of Napa, Mendocino and Lake Counties, the Pavelka Team offers quality service that exceeds their client’s expectations. As a Team, they work with their clients to develop a plan and strategy to achieve their real estate goals in an ever-changing market. Professionalism, integrity and passion, coupled with their deep roots and enthusiasm for watching the market grow, enables the Pavelka Team to provide this knowledge to their clients to make real estate decisions that accomplish their goals. The Pavelka Team has been an integral part of their local community for over 30 years. Ron is currently the President of the Cloverdale Chamber of Commerce and has served on many local non-profit boards including the Cloverdale Arts Alliance, Boys & Girls Club and more. Jane volunteers her time to various local projects and non-profit activities in the community. The have raised a family and participate in local events and politics as well as many other organizations throughout Northern Sonoma County. When not working with their clients or volunteering their time, Jane and Ron enjoy traveling, scuba diving, fishing, hiking and foraging for local edibles to enjoy!